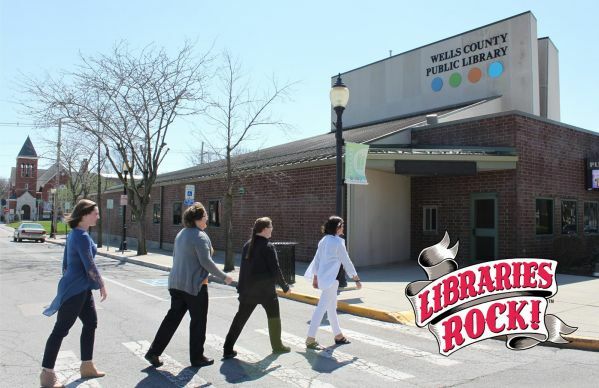 The Wells County Public Library staff is ready to help you “rock” at the library this summer. Stop in to sign-up for Summer Reading. Teens and adults can also register for the program online. All ages can earn prizes for reading books and participating in events featuring the music and “rock” themes. Prizes include an iPad mini, children’s toys, books, and more depending on your age level. A complete list of rules and guidelines is available when you sign up at the library. Make sure to check out these fun upcoming Summer Reading events during the beginning of June. Pick up a complete list of Summer Reading Program events at the library or visit our online Library Events Calendar. All ages. Hands-on experiments at various stations. No registration needed. All ages. Several “block” stations will be set-up (including large wooden blocks, LEGOs, and more). No registration needed. All ages. Magician Daniel Lusk will be performing an adventure-packed magic show. This year he will be joined by Musician Elle as she plays songs from famous kids programs LIVE. But will this be OK with Magic Daniel? Can they work together? Will the show be able to go on? It looks like they may have to learn to Rock Together in this fun show that kicks off Summer Reading! No registration needed. Preschoolers. Dance-filled hour with rhythm sticks & more. No registration needed. Preschoolers & Families. Bring your favorite stuffed animal for stories. They will get to stay after and enjoy a sleepover at the library. Registration required. Grades 6-12. Paint rambling rocks, make origami paper creations, assemble “cubee” characters, and enjoy a rock, paper, scissors tournament with prizes. Register by June 6 (for a guaranteed spot). Ages Birth-24 Months & Families. Explore music through instruments, dancing, and singing. Make your own musical instrument as a craft to take home. Registration required. Grades 6-12. The music librarian at the Carlon County Public Library has been found dead! Was it a heart attack or… murder? Solve the mystery with your fellow detectives in attendance. Register by June 8 (for a guaranteed spot).